It’s hard to believe you can get a new dovetail saw with great performance for under $10 but the little razor saw from Zona Tools is getting a great reputation. Here is a great review of the Zona Razor Saw that compares it stroke by stroke with other dovetail saws. Accurate and precise cuts with a micro kerf seem to be its strong points. 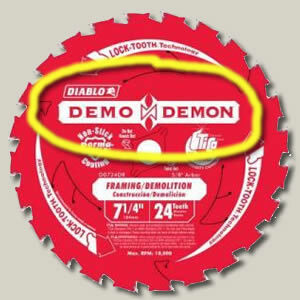 This review appears on Lumberjocks for a Freud Diablo Demo Demon D0724DK 7-1/4″ 24T circular saw blade, but used in a table saw. It is only a 7-1/4″ blade so it has a limited height, but the 1/16″ thin kerf and smooth cut seem to be perfect for ripping up to 1″ stock. This blade sells for around $15 which is a fraction of what other thin kerf table saw blades typically cost. You can read the review here and buy them on Amazon. 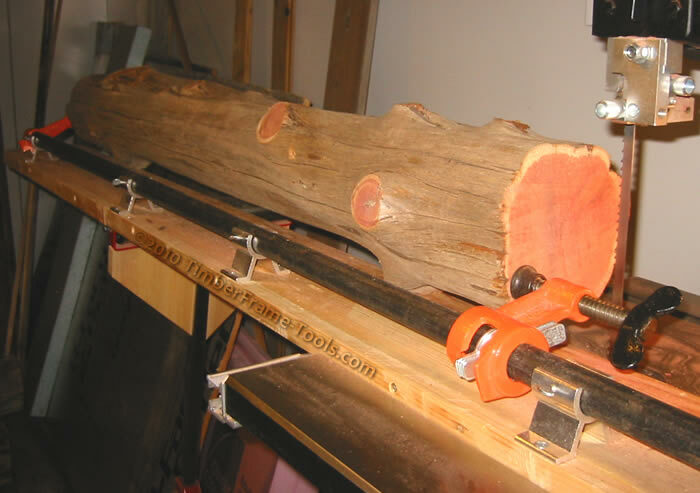 If you already have a bandsaw, it can be pretty easy to create a sled or jig to allow you to turn logs into dimensional lumber. This can be a great way to turn found wood into nearly free lumber. Here are two simple approaches. The size of the log is limited by what you can safely lift and support on your bandsaw, and the resaw capacity of your bandsaw. Here are a couple of easy to build jigs. This first one is really simple, but it does rely on your bandsaw’s rip or resaw fence which may be too much to ask of the fence for large logs. This next one is a little bit more complicated using a pipe clamp, but it requires only a miter slot on your bandsaw table. When milling logs, a good resaw blade is key to getting good results. I’ve had excellent results from my Woodslicer blades, but if your logs are less dry, you may want to go with a blade designed for cutting green wood. 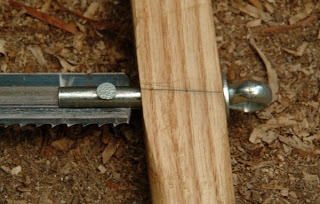 Frame saws are usually pretty inexpensive to build. The hardware is typically the most expensive. I’ve seen people use eye-bolts with a slot cut down the middle to hold and position the blade, but this very clever use by Sean Hellman makes that even easier. He uses a large cotter pin to hold the blade and allow the blade to be turned when tension is released.